Do you need Chevrolet service near Lowell, Tewksbury, or Billerica? We have you covered! Our goal at Lannan Chevrolet is to make sure you love every moment you spend in your car. At Lannan Chevrolet we offer a dedicated and talented service staff to help with all your basic service needs. 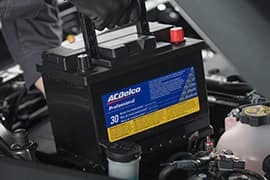 We offer oil changes, alignments, battery checks, and more. We can even help with collision repair so your car is as good as new. 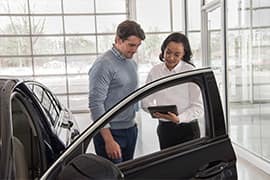 Our state of the art service facility is full of Chevy-certified technicians who are capable of performing any type of routine maintenance or major repair your vehicle may need. With our amazing facility and sophisticated service equipment Lannan Chevrolet service department will have you back on the road in no time. 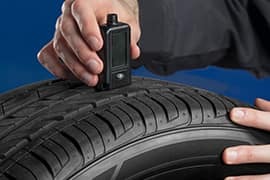 *Tire balancing, tax, and more than 8 quarts of oil extra. Excludes diesel engines. See dealer for details. Offer ends 12/31/19. 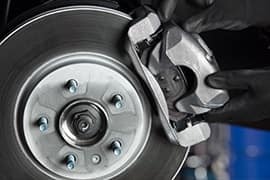 *Turning or replacing rotors, all other services, and tax extra. 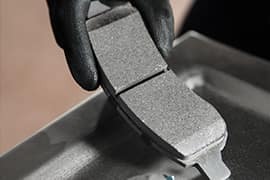 Excludes some brake pads and vehicles. See dealer for details. Offer ends 12/31/19. *Rotor price shown is for cars and small SUVs. Tax extra. Excludes Advantage Coated rotors, high-performance pads & rotors and other select vehicles. See dealer for details. Offer ends 12/31/19. *Rotor price shown is for mid-size SUVs, full-size SUVs, and trucks. Tax extra. Excludes Advantage Coated rotors, high-performance pads & rotors and other select vehicles. See dealer for details. Offer ends 12/31/19. 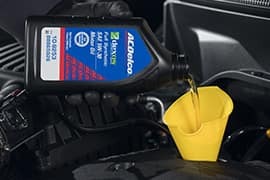 *With the purchase of $300 on GM Genuine or ACDelco parts. *Excludes Saab, Chevrolet Med/HD and GMC Med/HD Trucks. Not valid with other offers. Limit one rebate per service performed per date and vehicle. Allow 6 to 8 weeks from end date for delivery of debit card. See dealer or mycertifiedservicerebates.com for complete details, eligible parts and rebate form, which must be postmarked by 1/31/20. 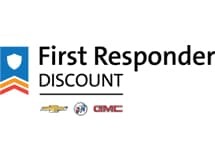 The GM Military Discount is an easy way to save hundreds, even thousands, on eligible, new Chevrolet, Buick and GMC vehicles. 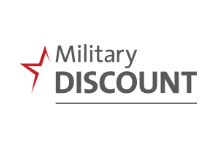 Active Duty members, Reservists, National Guard members, Veterans within one year of discharge date and Retirees — including their spouses — of the U.S. Army, Navy, Air Force, Marine Corps and Coast Guard can all take advantage of these helpful savings. 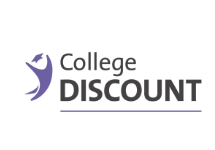 If you are a college student, recent graduate or graduate student, you can receive a special discounted price that’s below the MSRP. 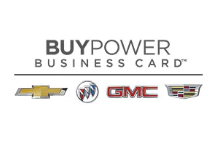 This outstanding value can be applied to the purchase or lease of eligible, new Chevrolet, Buick and GMC vehicles. As an educator, you help shape the minds of tomorrow’s leaders. 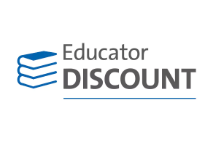 In appreciation of the hardworking education community, GM is proud to offer current employees of public schools, private schools, colleges and universities the GM Educator Discount. 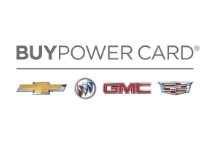 This program provides you with a special price on eligible, new Chevrolet, Buick and GMC vehicles. 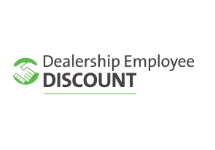 Eligible employees of GM Supplier companies can get great savings on eligible, new Chevrolet, Buick, GMC and Cadillac vehicles with the GM Supplier Discount. Combine this discount with most current incentives for even bigger savings. 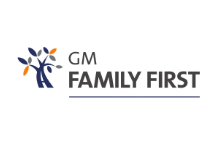 Employees and eligible family members can purchase or lease an eligible, new Chevrolet, Buick, GMC or Cadillac vehicle at the GM Employee Discount Price, a special discounted price below the MSRP. 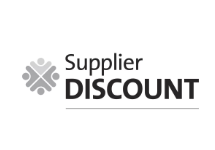 Combine this discount with most current offers to save even more. Value, meet Confidence. 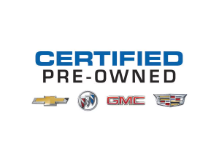 Purchase a Certified Pre-Owned vehicle and get new car confidence with a used car price. Find generous offers on a wide selection of vehicles reconditioned to our exacting standards. It’s no worries, on a whole new level. Get the card that works as hard as you do. Build Earnings on business purchases with no limit to the amount you can redeem toward an eligible, new GM vehicle and no expiration.